We’ve talked a great deal in the past about the importance of contracts and being contract smart when doing freelance writing. However, even with a perfect contract and best of intentions on both sides, disagreements can arise. Dealing with those disagreements, unfortunately, can be very tricky. Jurisdictional issues can make it almost impossible to bring legal action against each other and, even if those issues aren’t present, the cost of litigation can be prohibitive, especially over smaller contracts. Because of this, one of the more common clauses clients put in their contracts is a mandatory mediation or arbitration clause as a way to more quickly and cheaply handle disputes. But are these clauses a good deal for writers? The answer isn’t very simple and a lot of it depends on the situation. However, to understand how these clauses might fit into your life, you first have to see know what they are and understand the positives and negatives that come with them. Mediation and arbitration both serve similar functions in that they are designed to be cheaper and quicker alternatives to litigation, or filing suit and going to court. They also both involve bringing in a neutral third party into the dispute to resolve things. However, they are slightly different in how they function. Mediation: In mediation, a third party is brought in to work with the two parties to help the two sides come to an agreement. The mediator does not have any authority to render a decision and mediation is rarely binding. Arbitration: In arbitration, the arbiter (or arbiters) function similar to judges, hearing the case presented by both sides and making a decision. That decision, in turn, is usually binding. As such, mediation is often used as a prelude to a lawsuit. In many states, courts can and do force sides of a dispute into mediation to try and resolve an issue before it heads to trial. Arbitration, however, is more often meant to be used instead of a lawsuit, taking the place of other legal action. Despite the differences, the terms are often (incorrectly) used interchangeably so it is important to read any mediation/arbitration clause carefully to see what it actually entails. It may be that the “mediation” process may be more similar to arbitration and vice versa. That being said, there is a lot of potential benefit to these clauses, especially should a dispute arise and it is important to be aware of them. Cost: Though there are costs associated with mediation and arbitration, they are far lower than the costs of litigating a case. Often times a case that might cost many thousands of dollars to bring to court can be arbitrated for just a few hundred. Speed: A resolution outside of the courtroom is, almost certainly, faster than one to be found in it. Even a speedy court case can take over a year to resolve but a mediated or arbitrated case can likely be resolved in weeks or months. Jurisdiction: With a litigation, there are likely issues of jurisdiction, meaning deciding which court should hear the case and one side is usually at a sharp disadvantage, having a court farther from home. However, if both sides agree to either mediation or arbitration, they mutually agree on who the third party should be (or how they should be chosen) and eliminate those issues. Given the headache a court case might bring to a dispute, it’s easy to see why the fast, cheaper and less painful path of either mediation or arbitration might be tempting. That being said, neither system is perfect and there are many reasons to be wary of such clauses in your contract. Perception of Bias: There is a broad perception, justly or unjustly, that third party involvement in a dispute brings about a bias. Generally, the perception is that the bias favors whoever is paying for the mediator/arbitrator. Lack of Enforceability: In some jurisdictions and in some matters, a person can not waive their right to bring a case to court. This means mandatory mediation is useless as either side can still file suit anyway and override the out of court settlement. Still May Require Court Assistance: Getting a judgement from an arbitrator in your favor may not be the end of everything as you may have to take the matter to court to force them to pay. In short, even a “win” at an arbitrator may not be the end of the entire matter. Are these reasons to avoid signing a mandatory arbitration/mediation clause? Much of it depends on the situation. But they are reasons to be wary and think twice about doing so. All in all, many clients put them in there not to quickly resolve disputes, but to impede the freelancer’s ability to take matters into court, a very real concern that every freelancer should be worried about. 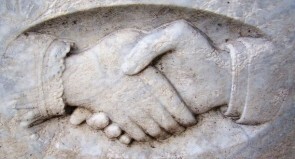 All in all, mediation and arbitration can be very good things when both sides approach them with good faith. However, as you might imagine, a large number of disputes come about because one or both sides did not have good faith going into the deal. If someone is truly acting maliciously and in bad faith, you need to have the weight of the courts behind you to enforce judgments and take action. Without that, there isn’t much that you can do. Mediation and arbitration can be ways to impede that access when you need. However, if both sides are serious about it, they can be powerful tools for ending a dispute quickly and cheaply. This makes the choice of a mediation/arbitration clause a tough one for freelancers but one that nearly every one will have to face. It’s best to decide your comfort zone and make the decision right for you, with open eyes as to what you’re giving up and getting in return. Thank you for this. You always provide such thoughtful, insightful articles. I prepare material for training workshops I’m looking for guidelines for how much should I charge/get if I prepare the content and someone else gives the material as a trainer repeated times. For example, if we agreed that I take 50%, I’m looking for guidelines for how much I should take the second time he/she gives the material even if I did nothing the second time. I need neutral ways to decide job offers (especially free-lance work) such as “last offer arbitration”. So here’s my question (Can you recommend individuals/ institutions who can work as third party mediators/arbitrators to settle how much each side should take (especially when the service is repeated)? In agreements in general and/or the specific case of preparing training content for trainers.